Hello! 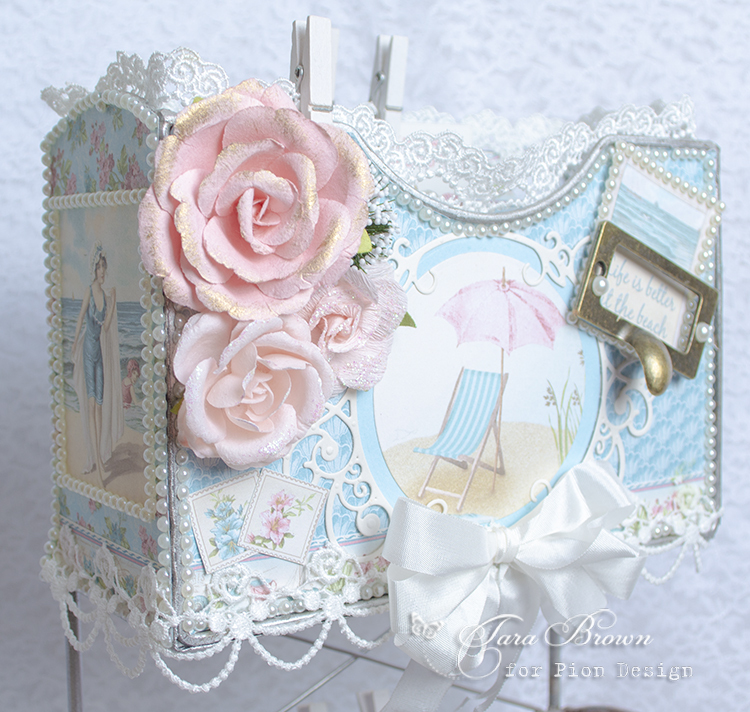 I have altered these metal letter boxes using the playful pinks and blues from Seaside Stories. 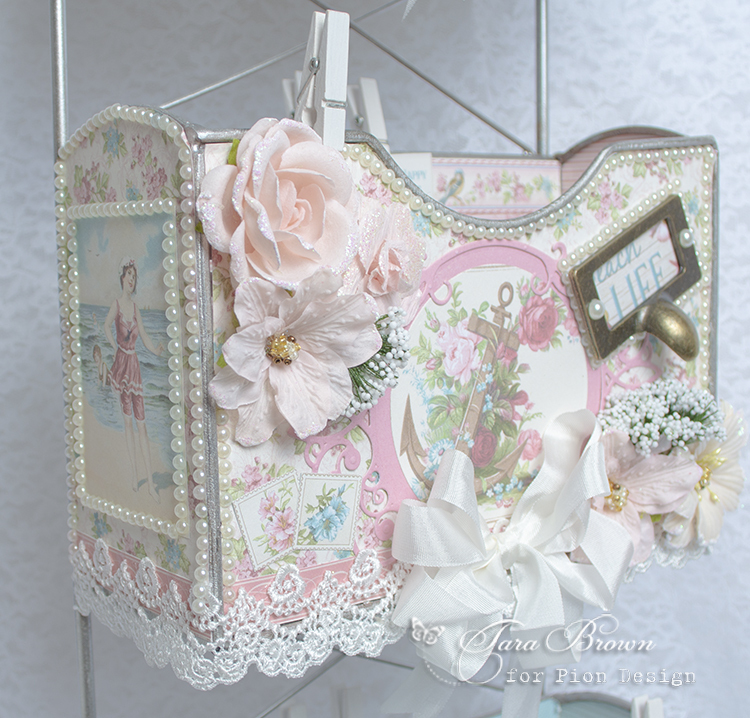 The entire set of three letter boxes is large, so I included individual box photos to show the lovely paper details. This fun, whimsical nautical collection has amazing images, patterns, and colors and is such a delight to make projects with! Best wishes for you to have a great week! Wow, this is so stunning!! I love the beautiful design!! The image is so sweet and I love the details!! It’s so gorgeous!! Again, just another amazingly beautiful creation! Thank you for sharing your projects. Would you be able to let me know how you were able to adhere the paper to the metal boxes? Is there prep work for the metal so the paper will properly adhere to it?